Reigning and defending WBO welterweight champ Jessie Vargas almost certainly does not like it one bit, but it does seem as though fight fans and members of the media are talking more about who returning superstar Manny Pacquiao may or may not face in his next fight after the Las Vegas clash with Vargas this coming Saturday night. There is interest in Pacquiao-Vargas but the fight does not have anything like the buzz previous Pacquiao fights had. Back in 2009, 2010, any Manny Pacquiao fight was a huge, huge event. Today, Pac-Man is still a big deal, but when people are talking about who you might fight next it’s a sure sign your current upcoming fight is far from a huge deal. So who might 37-year-old Pacquiao go on to fight assuming he does what the experts and the bookmakers feel he will do and that’s defeat Vargas on Saturday? Talk continues over the possibility of a Pacquiao-Floyd Mayweather rematch, with a number of people convinced of two things: Mayweather WILL come back for fight number-50, and a return with Pacquiao is the only fight he would take that is capable of bagging “Money” the huge sum he would be willing to come back for. Mayweather is almost certain to be watching Pacquiao’s return, with a possible idea of making one of his own. A rematch of last year’s dull let down of a “Fight of The Century” would not rake in as much cash as the first fight but it would still generate millions; what with the “Pac-Man was injured in fight-one and will be ready this time” angle. But Manny’s trainer Freddie Roach, as much as he would like a second go at Floyd, has another big fight in mind for his fighter: one with Saul “Canelo” Alvarez. Speaking with The Philippine Star, Roach said that as long as a suitable weight could be worked out (yes, another catch-weight bout is a possibility) Pacquiao would be able to outbox the Mexican star. 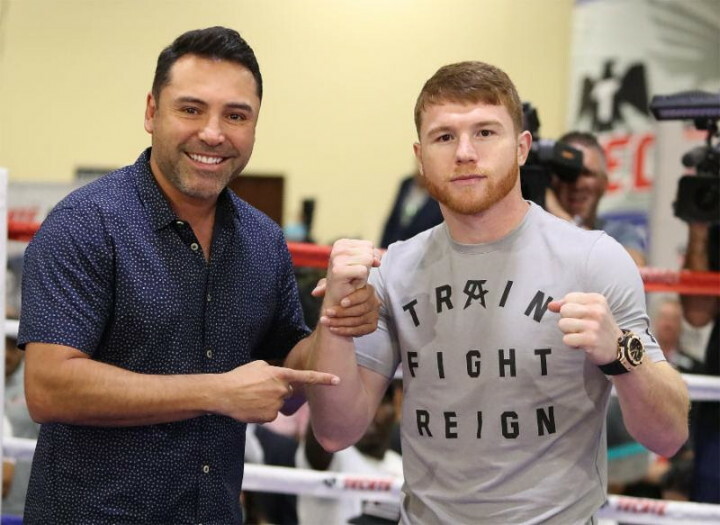 But would fans be happy if a Pacquiao-Canelo fight delayed or even prevented the fight we’ve all been waiting for for so long in Gennady Golovkin-Canelo? And isn’t Alvarez planning to move up to full middleweight when he returns from his hand injury next year? Money talks of course and maybe a Pacquiao-Canelo match-up can and will be made. As for Vargas, he is convinced he will make such talk go away after he defeats Pacquiao. If Vargas can do it, we’ll all be talking about who he might fight next.